You are here: Home / Beauty Care / How To Make Use Of Oatmeal For Skin? How To Make Use Of Oatmeal For Skin? Oatmeal is considered brilliant for health and beauty. It is rich in antioxidants and minerals like calcium, magnesium, potassium, and phosphorus. Oatmeal works as a natural skin cleanser, especially for sensitive skin. In fact, you can use it as a mild soap. Moreover, it relieves itching and soothes minor irritation. Ground oatmeal also has abrasive quality, thereby making it perfect for skin exfoliation. It can be used on your body as well as face. 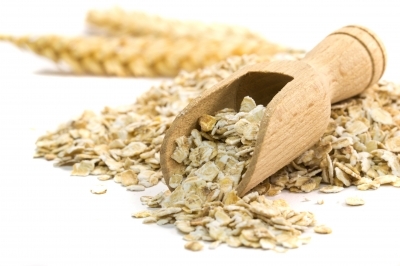 In addition, application of oatmeal remedies can help cure rosacea, eczema, and skin rashes. • Simply prepare a paste by adding sufficient milk or hot water in instant oatmeal and apply this as a face pack. Rinse it off with lukewarm water after 10-15 minutes. You may include aloe vera gel as well. • Soak instant oatmeal in plain yogurt and apply this mixture on your face and hair to derive cleansing benefits of oatmeal. Furthermore, yogurt makes your skin glow, fights dandruff, and softens your hair. You may also add a teaspoon of honey. • In case you have dry skin then make homemade oatmeal face mask by mixing a ripe banana (mashed) and a little warm milk in a cup of ground oatmeal to replenish moisture. Apply this on your face and neck, leave for 15 minutes, and then wash it off. Follow up with toner and moisturizer. • Add two cups of colloidal oatmeal, a cup of milk, and a tablespoon of organic honey in warm bath water. Soak in this mixture for about 15-20 minutes and enjoy a relaxing oatmeal bath. Finally, take a cold shower. • Make a facial scrub to remove dirt and dead skin cells by adding two teaspoons of sugar (preferably brown sugar), mashed avocado (half), and about five drops of rose essential oil in two tablespoons of instant oatmeal. You can use this on your body, too. • Another interesting facial scrub recipe can be prepared by mixing two tablespoons each of aloe vera gel and lemon juice, one teaspoon each of honey and sea salt in a quarter cup of uncooked oatmeal. If the paste is quite thick then add a little water in it. Spread this mixture on your face and neck. Rinse it off after 15-20 minutes. Check out this video showing how to prepare and use an oatmeal skin cleanser. • Those who have an oily skin can use oatmeal by blending a cup of instant oatmeal along with a tablespoon of yogurt and a small piece of cucumber. It can heal sunburn, too. • Boil half an apple till it becomes soft and then peel it. Next, put this apple, a cup of oatmeal, a tablespoon of honey, and half a tablespoon of yogurt in a blender and blend all the ingredients. You can also add hot water to form a smooth paste. Apply this homemade beauty care recipe on oily skin for almost 15 minutes. • When dealing with acne, blend rolled oats in a blender or food processor and blend to get powdered oatmeal. Take two tablespoons of this powder and add the same amount of lemon juice in it, enough to form a paste. Regularly apply this natural remedy on the affected areas to cure acne and blemishes. • Applying a thick paste prepared by combining two teaspoons of instant oatmeal, one teaspoon of baking soda and a little hot water is highly beneficial for getting rid of acne. • Oatmeal also helps fight signs of aging and tightens your skin. For this, you need to whisk two egg whites, and add them in a mixture of half a cup of ground oatmeal and one cup of hot water. When the paste cools, apply it on your face and neck. Finally, rinse it off after 15 minutes to reduce wrinkles. • Rejuvenate your skin by applying a combination of two tablespoons of ground oats, one tablespoon of honey (heat it slightly in a microwave to make it runny), and one tablespoon of rose water. You may also add ground almonds in this recipe. Leave it on your skin for 10 minutes and then wash it off with warm water.